In an age where children are exposed to social media influencers peddling lifestyle messages, cyber-bullies, targeted advertising and rapidly changing social expectations it can be harder than ever to ensure that they grow up with a positive view of themselves. By putting the time and energy into helping your children nail positive approaches to self-esteem and self-confidence early on you can ensure that they become the happy, well-rounded individuals they were meant to be! There is loads of help out there for parents looking to raise their children with a strong sense of self-esteem, ranging from self-esteem tests and activities to books and programs that teach kids and teenagers about the importance of valuing themselves and what they bring to the world. We know how busy life can get for parents, so we’ve tried to make it a little easier by bringing together some of the best expert advice and self-esteem boosting activities in an easily digestible format below. To top it all off, we’ve collated some of the best programs, books and activities out there (recommended by Tutorful tutors, students and parents) in a Best of 2018 list below! Jump straight to the Best Child Self-esteem activities and resources of 2018! Success Jars also known by many other names, are an awesome way to regularly remind your child of all their past glories, from the small to the spectacular and to make sure that a bad day or week doesn’t change all the things they’ve achieved! Super simple to make, all you need is a big, clear container - think goldfish bowl or mason jars - and some slips of paper. Take some time to sit with your child and ask them about times they’ve felt proud of themselves, when they’ve done something on their own or as part of a team or even just done something nice for someone else. You can give them prompts as well, but try to make sure that the majority of successes come from themselves. Whack all the slips in the jar and on a bad day, get them to pick some slips out, read them aloud and really remember how they felt when the achieved whatever is on the paper. Also make sure to add extra slips every time they’re feeling great about something they’ve done! Whether you do this with friends or just with family, this is a great way to help children see all the great aspects that others see in them. Sometimes it’s easy for children to feel down about themselves and forget that everyone has admirable qualities. Realising this can be a great self-esteem boosting activity. Sitting around a table or just as a group, each individual writes something that they really admire about each person on the table on a slip of paper. Make sure to mark each slip with the name of the person that it’s about on the back. Once everyone’s written all of their slips, put them into a bowl to help make the anonymous and then distribute the slips to the correct person. You can either let each person read them out loud or just let them enjoy them on their own. Teaching your child to be resilient is a huge part of building their self-esteem and self-confidence. For a child, being able to tell themselves that they won’t give up until they’ve set out to achieve what they were aiming for and following through on this can be incredibly powerful. They start to see themselves as individuals who control their own fate. A great way to teach perseverance is to create a bucket list with your child covering some major things they’d like to achieve. These can be as big or as small as your child feels comfortable with, the idea being here that you break something fairly substantial down into small, achievable targets on the way to the end goal. Having the bucket list somewhere big and visible is a great way to regularly remind your child (and you) what they set out to achieve and keep it at the forefront of their mind. Learning that mountainous tasks can be made achievable through commitment and small steps is a great way to develop a can-do attitude in kids which ultimately boosts their ability to self-actualise and feel great about themselves. Giving your children responsibility for tasks, projects or just for making decisions can be one of the best ways to teach them their own power and help children with low self-esteem. This can be something as small as making sure they’ve ticked off all their chores, that they’ve fed and/or walked any family pets or that they’ve chosen and helped to prepare a meal for the family for some evenings. Whilst this might seem like a tiny thing to adults who are used to making seemingly thousands of decisions a day, for many children their decision making power is extremely limited. Showing that you trust them with responsibility is hugely important as they will start to believe in themselves too. Small, regular steps will soon build up to big changes in self-esteem and self-belief. Leadership opportunities can come in many different forms and can be incorporated in to the previous point on responsibility and decision making. Try creating projects or group situations in which your child is forced to act as the leader, whether that means that they make the final decisions on what happens, or that to get further instructions on what happens next, only the child selected as leader can communicate with the adult overseeing the project. This means that everyone else involved will have to defer to the lead child. There are also some amazing programs for developing leadership skills in children and adolescents. Institutions such as Scouts or one of the Cadet programs set up by the armed forces offer excellent opportunities for children to engage in exciting activities, take charge of situations and really push themselves, all under the watchful eye of trained instructors and most importantly, role models. You can read more about these in the Best Child Self-esteem Boosters of 2018, below. Getting your child involved in sports is without doubt one of the most impactful strategies for improving their self-esteem and self-confidence. Whether it be a team or solo sport, finding a great coach and applying some of the other advice in this guide can be a sure fire way to show children just how much they can do when they set their mind to it. Sports teaches children the value of perseverance, discipline, training and that feel-good feeling of having a hobby that they love and can share with others. Sports, as with many hobbies, can help to give children a strong sense of identity, which is vital for improving self-esteem. Possibly the most important factor on this list is nurturing positive self-talk in your children. Teaching kids that none of us are perfect, but that we all have intrinsic value and that we should all be proud of who we are is vital to raising children with a great sense of self-esteem. There are a number of approaches to this, from ensuring that you encourage a growth mindset; teaching children that they can improve at anything they put their mind to, practicing the use of positive vocabulary like ‘excited’ rather than ‘nervous’ or ‘challenging’ rather than ‘difficult’, and most importantly leading by example. Teaching children to see the opportunity in failure and regularly using affirmations all lead to a deeply positive self-talk. When nurtured consistently, this can be a powerful way to teach children self-confidence and grow their self-esteem. Kids’ self-esteem relies heavily on how wanted they feel, and how loved they feel. Unfortunately for many children, the love and support that they should be getting can be insubstantial. 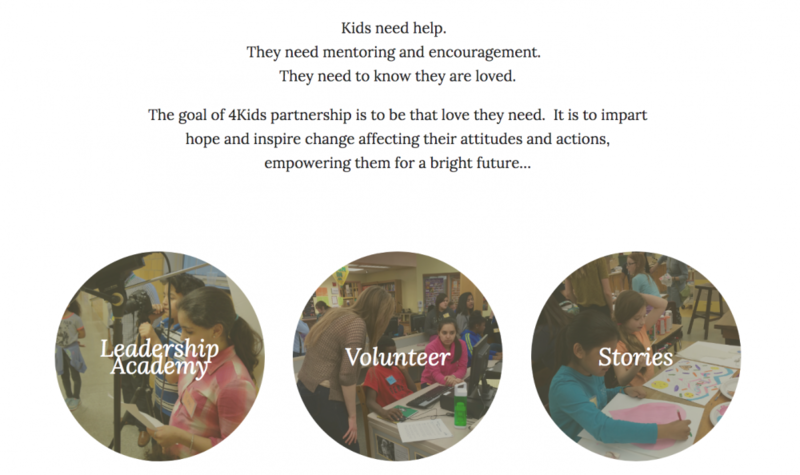 4Kids success began in 2011 when they began mentoring kids in after-school programs. Soon, their effectiveness and the response they got from the children they helped caused school administrators to approach them for help during regular school hours! 4Kids have come to develop their program for empowerment with the help of psychologists, teachers, and other education experts to build a curriculum for peer support between school kids that makes them feel loved, inspired, and able to succeed. 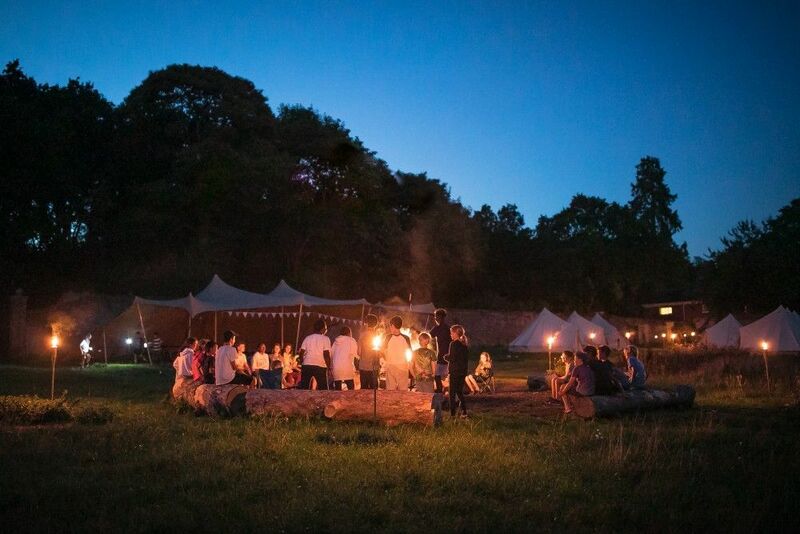 Recently nominated as a finalist for 'Education Business of the Year', Oppidan Education has taken the US model of summer camps and brought it to the UK: an all-encompassing residential camp that values personal and social development as well as the acquisition of new skills and experiences for children aged 8-13. Children who have been mentored through Oppidan feel empowered, confident and the best version of themselves. Oppidan Camps help children realise how much they can enjoy their learning. The camps encourage a broad range of skills and increase confidence in children. Their ‘Invisible Learning’ angle aims, above all, to allow students to enjoy themselves, while meeting new people and returning to school with a sense of renewed energy for their studies. 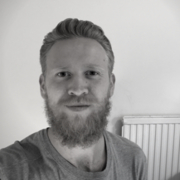 Role Models started in 2014, from the experiences of management consultant Hugo Shephard. He set up the company after his own experience of providing childcare during his studies at Durham University, which centred on philosophy and psychology with a big focus on child development. This is really inspiring stuff, and I hope Finton House can play a part in helping to get more youngsters to attend the courses in future. I think I mentioned early on that I thought the course was expensive. I have changed my mind about this. It is clearly the most amazing value for money, given the quality of the experience. Thank you all. Role Models came about from the desire to take the talents of various people Hugo had encountered in his life and share them with the next generation, to give young people aspirations not only in concepts and ideas but formed around real, tangible people they can look up to. The Scouts are well-known for teaching useful skills to young people and helping them discover talents they may not have even been aware they had. Each week, they help over 460,000 young people aged from 6 to 25 enjoy fun and adventure while developing the skills they need to succeed, involving leadership and teamwork, resilience, and focus. These traits are empowering for young people and will always be useful throughout their lives. Giving a young person talents such as these is a fantastic measure against low self-esteem or struggles with self-image. The Scouts take people of a wide range of ages as mentioned above, so find out more! The Sea Cadets is a charity that has been running for over 150 years, and is dedicated to equipping teenagers with useful skills that they can take forward into their changing lives and the world ahead of them. Cadets will learn how to sail, save a life, cater for a crew, and even learn a little engineering and meteorology! The results speak for themselves, as cadets grow to be confident people who are at ease and thrive on challenging themselves. For teens who need a source of discipline and an outlet for their energy, this could be the perfect way to help them build confidence and begin paving the way for their future. Sometimes, we just need to get away from our problems. Not just escape with a book or a movie – really get away and put some distance between ourselves and our work, school, college, or home! Kids are no different in that regard, and for those who are looking for something more on the physical side, Blue Dome is ideal. You can browse all sorts of outdoors activities such as mountain biking, hiking and orienteering, archery, and loads more. There are also links to appropriate sites and societies for these activities, as well as locations that you can check out to get involved. If you want to keep your kids active and keep their spirits up, then Blue Dome is worth a bookmark. Challenge4Kids started in 2014 and was created by a team of fundraising experts. They provide a cost-free program to support organisations with fund raisers, as well as a program to help kids develop important leadership skills. Leadership skills are of lifelong importance to kids, and learning how to take command of a situation when the need arises is a fantastic way to strengthen a child’s ego. Plus, leadership skills will make them highly attractive to future employers, and being able to manage a team is fantastic for kids who play in a team-based sport. The Forest School Awards is the outreach program for the Learning Without Walls initiative, which aims to get more school pupils outside and learning in the natural environment! Supported by local councils and businesses, the program is free to enter and supports the training of teachers, families and youth leaders in their own communities. 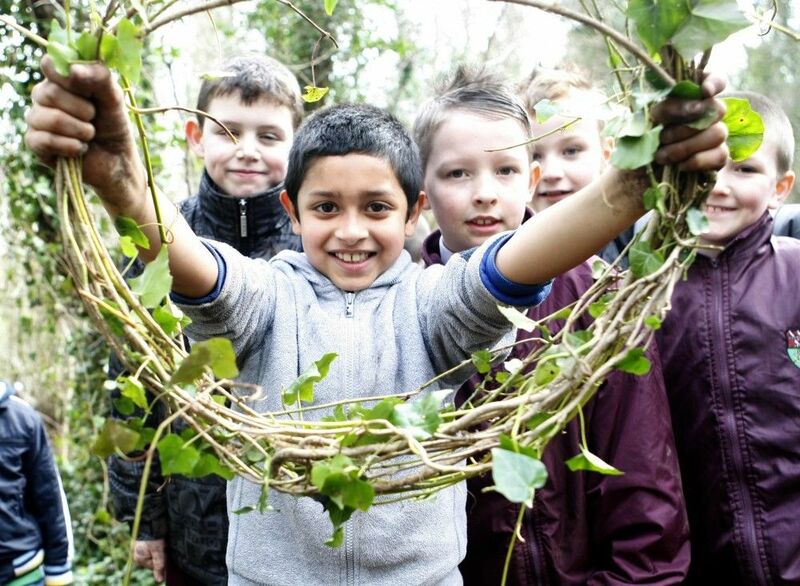 The partnership has spread across Northern Ireland, with schools and organisations being able to make an annual entry, where they can win training for a member of staff at their local council park, an official Forest School plaque, membership to the website and much more! Help kids make a positive impact on their environment and make them feel good! In a time when there is so much processed food and sedentary entertainment available for young people, it takes real effort to keep them active and healthy. That’s what Health Powered Kids is here for! HPK addresses healthy eating, exercises, personal hygiene, and self-esteem and body image – an increasingly important topic in our media-saturated world today. The site also has a ton of resources such as newsletters and recipes, and even SMART Board compatible lessons and activities. HPK has an absolute dedication to equipping parents and teachers with everything they need to support happy, healthy kids. 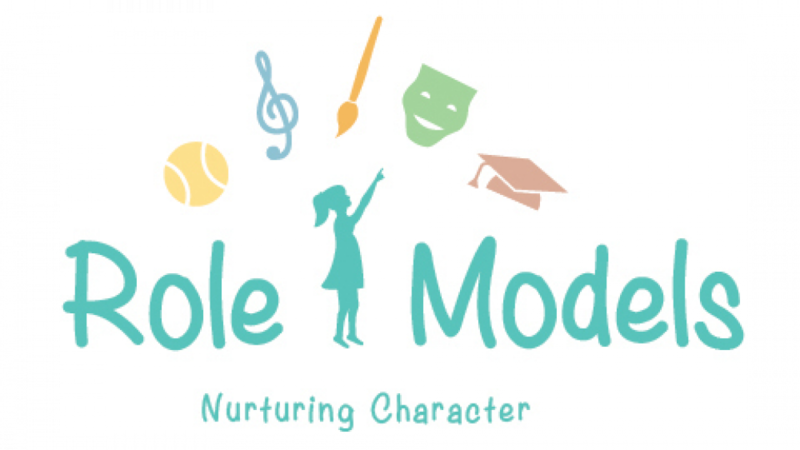 The Leader in Me is a model that aims for whole school transformation, emphasising the premise that every child is fit to be a leader when utilising their unique strengths. The Leader in Me helps to develop those skills and teaches children time management, self-reliance, empathy, and many more skills that equips them not only for a successful career in school but beyond too. The program started with a single school in North Carolina, U.S., and has spread to over 80 countries from there, affecting thousands of young people the world over! Totally Runable began in 2014 and works in schools to bring running as an effective tool for female students and work staff. The founders, Nat and Em, started from a mutual love of running, and initially helped adult women who wanted to get into running but lacked the confidence to begin. From there, though, it has only grown and grown, and within a year they went to working in schools and helping girls and female staff to find the confidence and power to run! Girls can have a hard time maintaining self-esteem, especially when certain cliques form in schools and friendship groups constantly change. An initiative like Totally Runable may just be what you’re looking for, if that’s the case. Child Mind Institute is a non-profit that dedicates itself to helping children cope with learning disabilities and mental health issues. All of their care is unique to each child and is tailored for them, based on their own research and findings. Their approaches are evidence-based, meaning the results are measurable and reinforced with scientific knowledge. Their psychiatrists are experts in how children and adolescents respond to medication and bring a collaborative approach to helping parents determine when and how medication should be part of a child’s treatment. Difficulties with mental health can be a huge burden for a child still developing and learning to know themselves, so organisations like CMI are a huge help if you’re a parent of such a child. A Fine Parent publishes an article each week, often written by a regular parent from their community making it highly relatable to parents in the trenches. The site editors spend a lot of time working with their writers to make sure that each article includes a list of practical ideas for you to try at home, is backed by the latest research, and always includes an action plan, so you not only read, but are inspired to take action. There are also weekly articles which cover a myriad of topics that are suggested by parents in their community. Each topic is approached from the Positive Parenting perspective, where the core belief is that there are no bad kids, just bad behaviour. EduZenith is a brand-new blog that hosts educational articles concerning many different facets of education such as good debate topics for students, classroom discipline, ability grouping, and more. 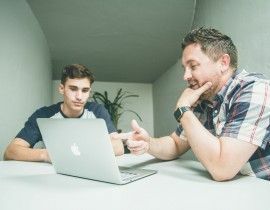 Educators can play a huge and pivotal role in helping their students with their self-esteem, and trying to get learners to support one another in the classroom is a fantastic way to encourage kids to feel good about themselves. The opinions of their peers mean a lot, so building that foundation of support may make all the difference. For inspiration on how to achieve this, it’s worth following EduZenith as the articles keep coming! BonBon Break is a fantastic site, packed with articles that address parenting in a wide range of contexts and scenarios. 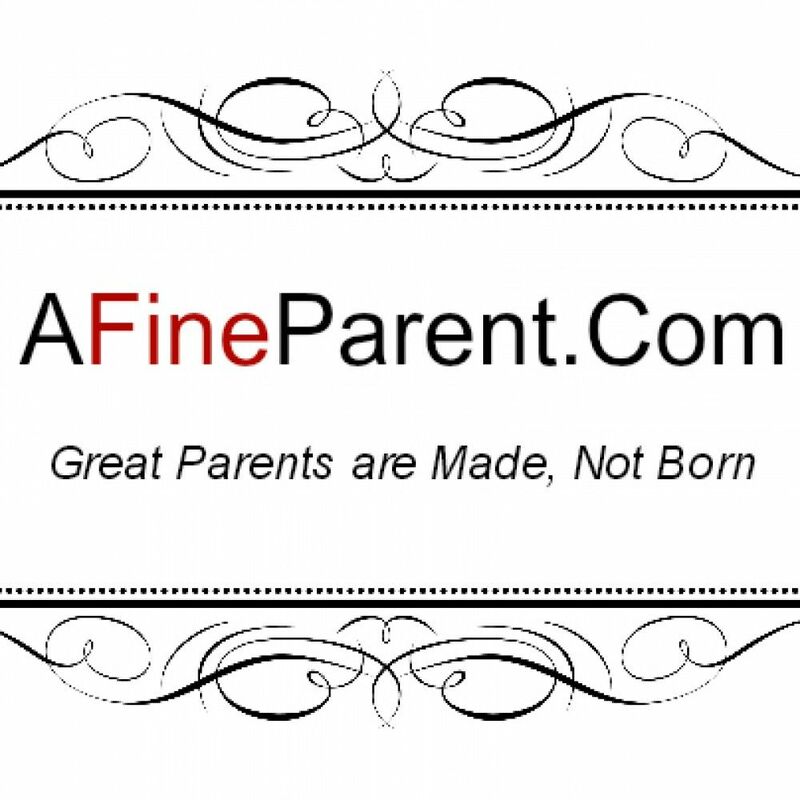 The articles are written with a strong ethos surrounding holistic parenting, and how to raise kids with interests and skills that help them grow into their own confidence. For helping a child to develop their sense of self-esteem, the ideas presented in BonBon Break’s pages are ideal. 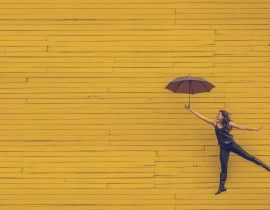 Discovering a new talent or finding success with something new is the perfect antidote to a downtrodden sense of self-worth. Leadership Expert was formed to offer a unique reference point, offering expert advice on leadership. 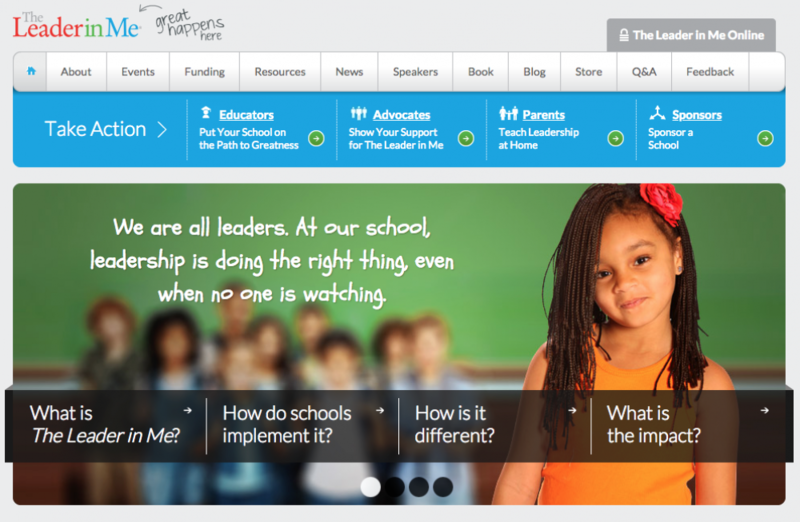 The site hosts a group of articles dedicated to leadership in children, which will be of particular interest to parents and teachers wishing to develop leadership qualities in their children. The articles include exercise ideas on how to build leadership in children and discussing the concept of leadership for kids. Building leadership confidence can be a big self-esteem booster for kids, so why not jump on Leadership Expert and see what you can learn? Learning LiftOff is a valuable and jam-packed resource for both kids and parents, with contemporary advice and insight into all things that concern the 21st century child and parent! The site hosts learning games, articles, a community newsletter and much more. There is a wealth of advice on all sorts of topics, such as how to introduce your child to online learning whilst keeping them safe, or how to be more involved at your kid’s school. Whilst not a site dedicated just to self-esteem, the holistic approach to parenting is a fantastic place to turn when your kids feel down or undervalued and you need something to make them feel reinvigorated. Check it out, bookmark it, learn from it! Have You Filled a Bucket Today? 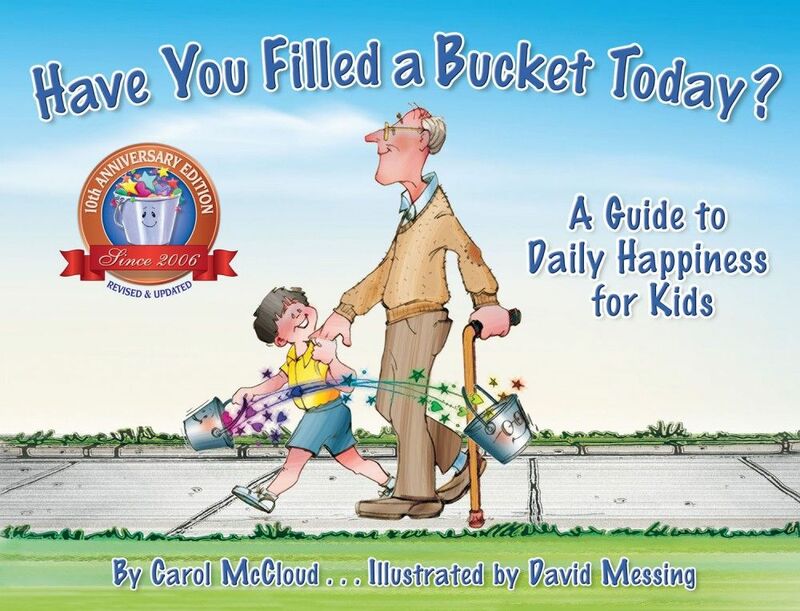 is the first book in the bucket-filling book series published by Bucket Fillers, Inc. ‘Bucket filling’ is a concept that explains to children that we all carry an invisible bucket in which we keep our feelings about ourselves. When our buckets are full, we are happy; when they are empty, we are sad. Everyone can agree on one thing: Bucket filling works because of the simplicity of the message — being kind to others feels good. The metaphor of everyone having an invisible bucket in which they carry their good feelings about themselves is an easy one for children to grasp. The idea that children can put a lid on the bucket so others can’t “dip” into it is also appealing. If you’re struggling to think of your own systems to help manage your kid’s stresses, try bucket filling! 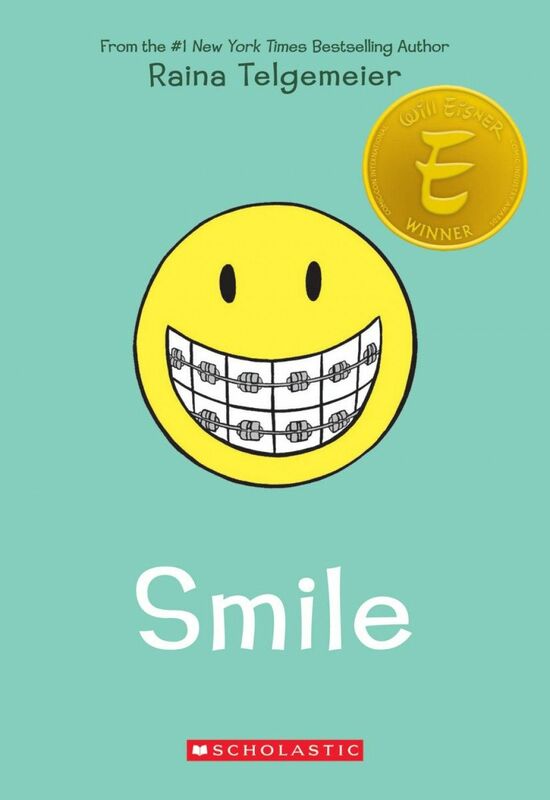 Smile is a novel by author and illustrator Raina Telgemeier, with the main character – also called Raina – wishing she could be a normal sixth grader. One night, she trips and falls, breaking her two front teeth and beginning a long struggle with braces, surgery, and all of the accompanying embarrassment from the necessary gear! The story is a fantastic bildungsroman for young readers who also have qualities that set them apart from their peers, such as having to wear braces. 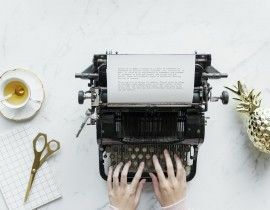 Reading about a character that they can really identify with on an intimate level is a great emotional support – sometimes, all we need is to feel that someone gets us. Giraffes Can’t Dance has resonated with readers around the world to become an international best seller. The book captures an essential element of self-esteem — finding what it is that inspires and moves you. 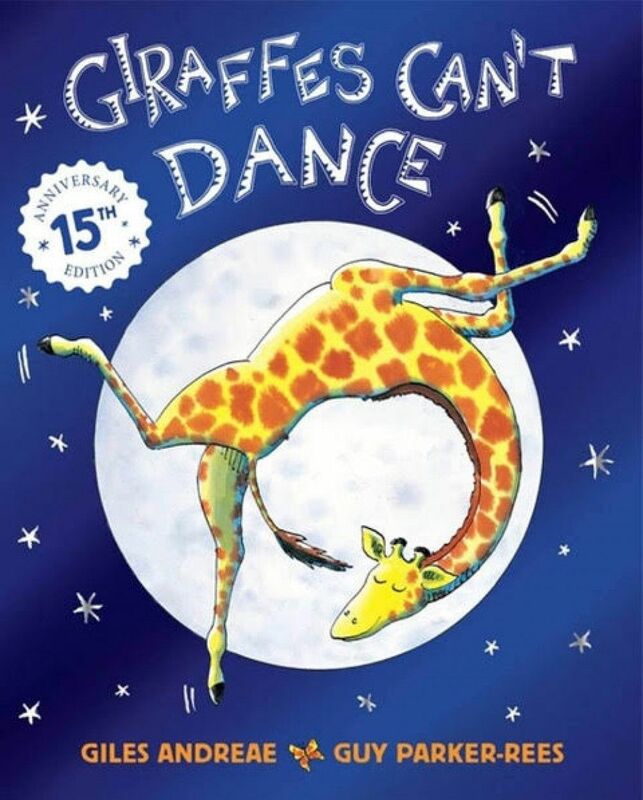 The story focuses on a giraffe named Gerald, who finds himself feeling left out when he wishes he could join the other animals at the Jungle Dance. Gerald proves he can dance by finding his own rhythm – a fitting metaphor for coming to understand oneself! This story is great for younger readers, and it teaches them from a young age that it’s never too late to join in! 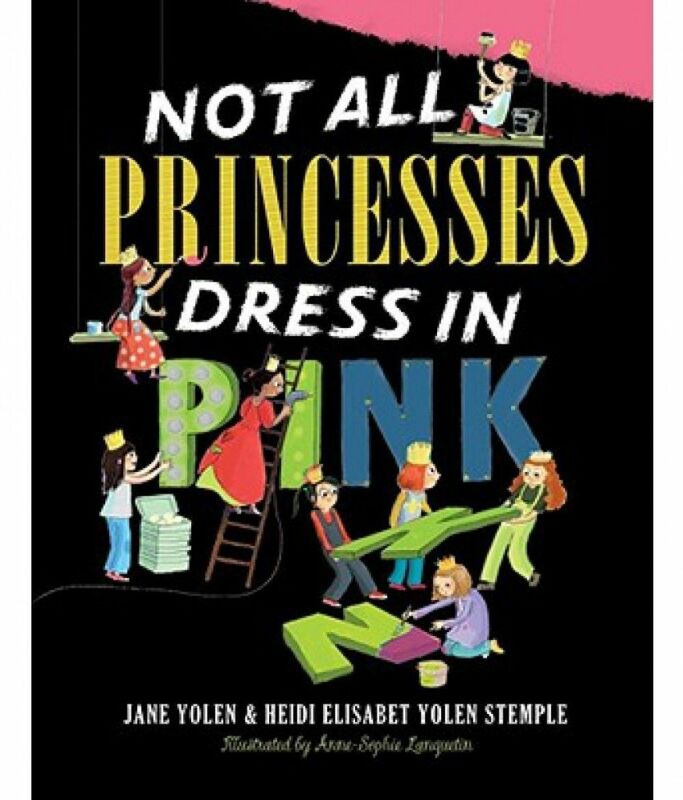 Not All Princesses Dress in Pink is a book by prolific author Jane Yolen. The book is written in rhyme, making it a fun and accessible read for children right off the bat. The idea for the book came about from Jane’s editor joking that she would like a book that mixes up the ‘pink princess’ cliché. The book sets out to do just that, by affirming that girls can jump in puddles, play in mud, and generally do whatever they like, all whilst still being princesses! It’s a great story for girls who feel like they’re not ‘girly enough’, something that societal pressures can make challenging for young women. Take a look at the book, and while you’re at it, look at Jane’s other works! 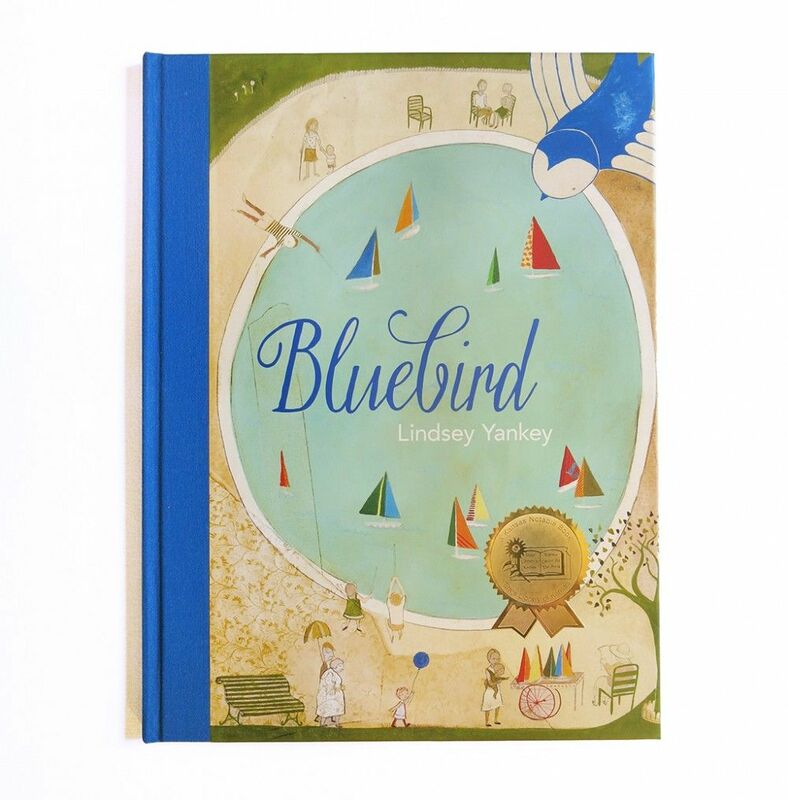 Bluebird is a touching story by Lindsey Yankey that addresses the fear of trying something on your own for the first time, cleverly concealed in a charming and adorable metaphor involving a little bluebird! Bluebird has never flown without the help of her friend before. Her friend is The Wind, and one day The Wind is nowhere to be found. Where could it have gone? Little Bluebird sets off on an adventure to find her friend, and in doing so, she finds confidence in herself that she never had before. The story is amazing for kids who feel like they could never leave their comfort zone or are reluctant to do so, as it gives them an innocent and endearing character to follow as they do just that! 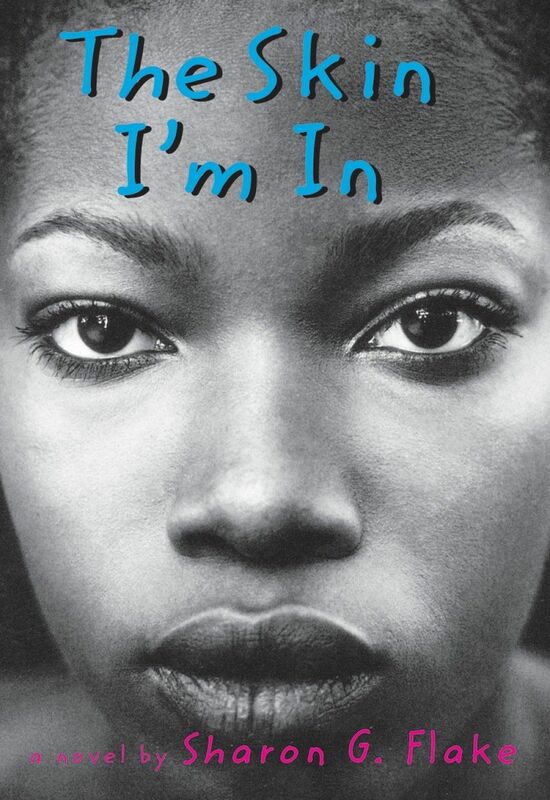 The Skin I’m In centres on thirteen-year-old Maleeka Madison, who struggles with her daily school life thanks to the judgements and prejudices of her classmates. To try and help matters, Maleeka befriends a notorious school bully, but that doesn’t last long and she quickly finds herself in deeper trouble until she learns to stand up for herself. The story not only teaches young people not to back down to peer pressures and intimidation, but it also teaches them that trying to find a sense of belonging by joining the wrong crowd isn’t the solution it seems, either. 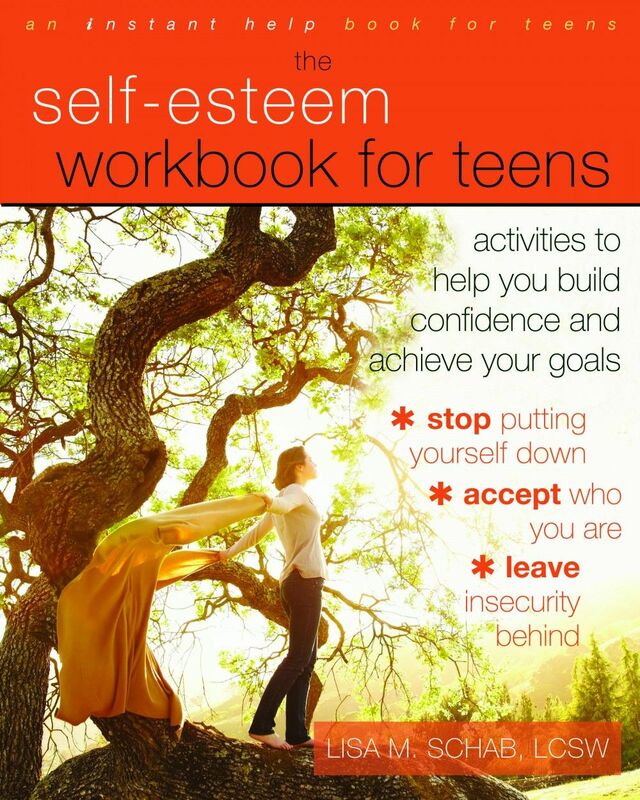 The Self-Esteem Workbook for Teens is just one of the books by Lisa M. Schab that tackles such an important facet of a maturing young person. The book quite rightly is based upon the ethos that self-esteem affects every area of a teen’s life: academics, activities, friends, family, and dating relationships. The book is aimed at the young person themselves, and teaches them how self-esteem comes to develop as you grow older and how you can take control of your own feelings. For young people who are too proud to accept their parent’s help (at least knowingly) this book is a great idea to help them empower themselves! 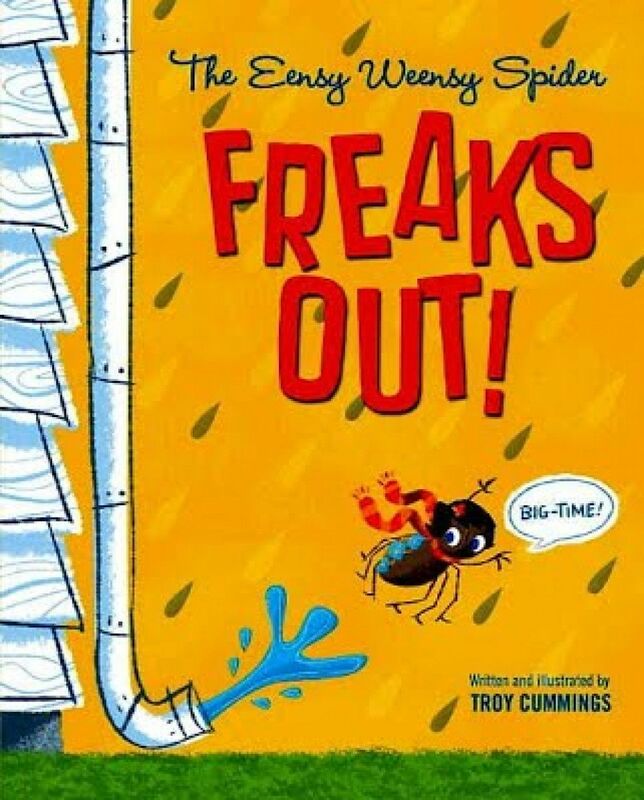 Based on the popular nursery rhyme, the Eensy Weensy Spider Freaks Out is a charming picture book that focuses on that little spider and her damaged confidence upon failing to climb the water spout. With help of her ladybird friend, Polly the ladybird, she starts climbing again, taking on bigger and bigger challenges culminating in a spectacular view of space! To find out how the Eensy Weensy Spider manages such a feat, you’ll have to read the book, but this funny and thoughtful tale for young children is a fantastic reminder that sometimes you might fail, but you can always try again until you succeed! 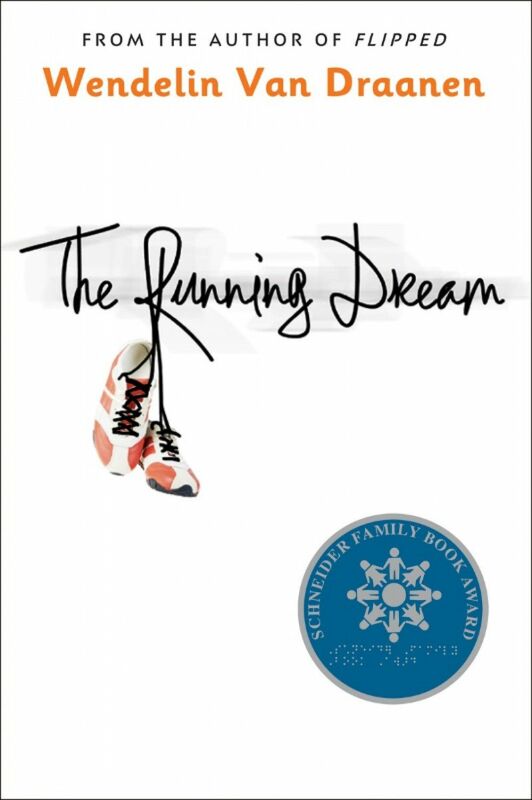 Jessica lives to run, but when a tragic accident results in her leg being amputated below the knee, her running dreams are shattered. During her recovery she gets to know Rosa—a girl with cerebral palsy whom she had previously ignored. Rosa helps Jessica believe in a future with unexpected opportunities. With the support of her coach, friends, family and community, Jessica starts to wonder if it is possible not only to walk again, but to run. Bolstering self-esteem is effectively done through accomplishment. Rather than having a task that seems difficult impossible create fear and defeat in us, taking it on and working hard to conquer it builds an inner strength that equips us to tackle other challenges. Wonder is a story about August Pullman, a child born with a severe facial difference that has made him noticeably different his entire life thus far. The book begins with just August’s point of view, but beings to include other perspectives within the community around him as they come to terms with his condition. The story explores acceptance, kindness and empathy, and carries the message that you can’t simply blend in if you were born to stand out! Wonder has enjoyed insane success as a bestselling book, being the New York Times’ bestseller for five years in a row! Why not see what all the fuss is about and find your new inspirational story for those self-esteem ebbs. 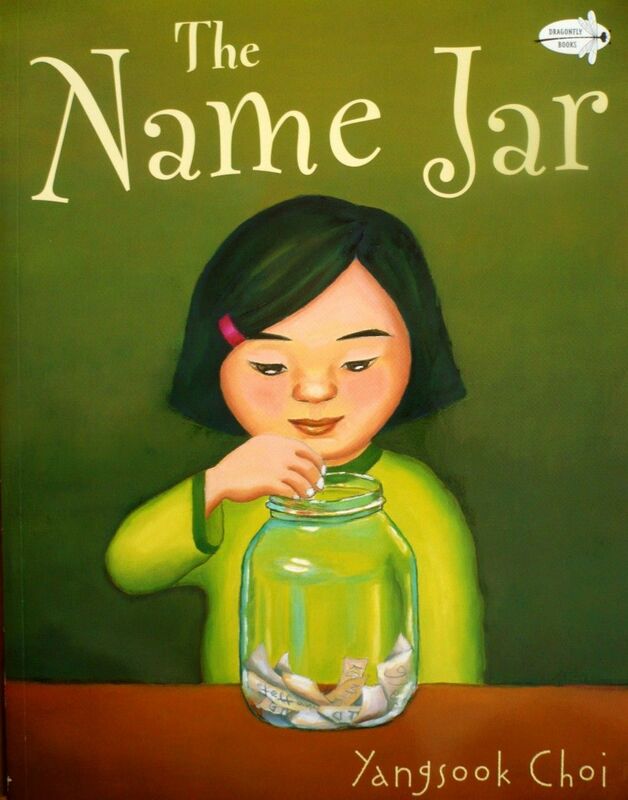 The Name Jar is a story about Unhei, a Korean girl who fears her new classmates might dislike her because she has a strange-sounding name. So, she decides she needs an English name. But when the jar filled with new name choices disappears, she learns to respect her own uniqueness and accept herself. Children who feel they matter, in spite of their differences, have the confidence to use good judgment in making decisions. They are more likely to be comfortable in unfamiliar situations and in meeting the new challenges that come their way. 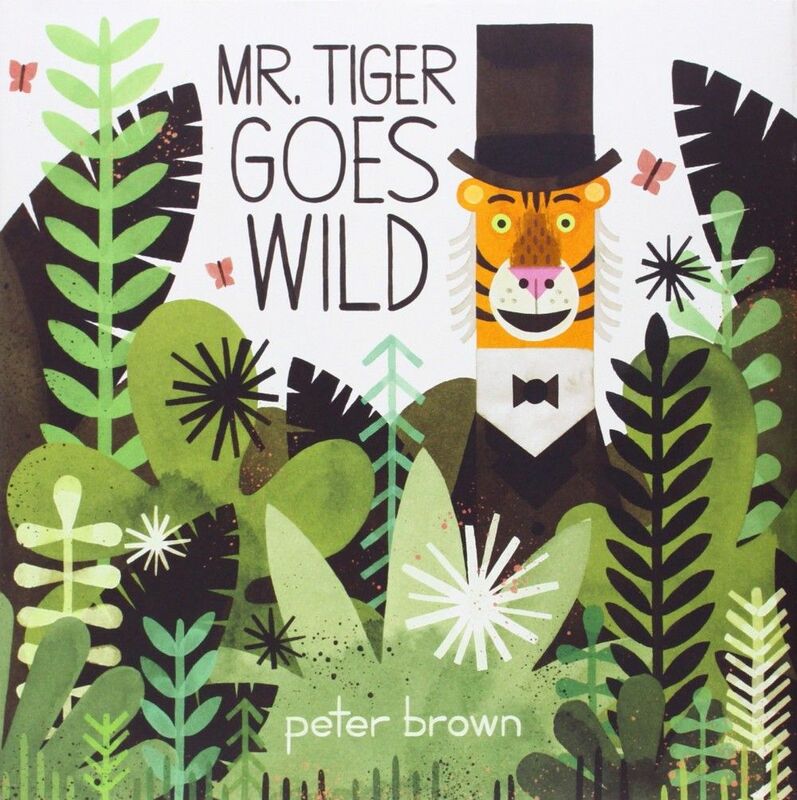 Mr Tiger Goes Wild is a story from award-winning artist Peter Brown, and posits that there’s a time and place for everything – even going wild! Mr Tiger is a very proper gentleman, but one day finds himself fed up of tea parties, top hats, and talking about the weather. Instead, he decides to go wild! The story focuses on the idea of switching things up and trying something new, which is an ideal notion for children who are feeling a little bored with being sensible and want to go wild! The Dot is a book that has been through numerous editions and translations, all thanks to its reach and influence over the years since its publication! The Dot is the first of three stories, all of which are dedicated to creativity. The reader meets a girl named Vashti, who has convinced herself that try as she might, she can’t draw. In response, her teacher dares her to make a single mark on her paper, which she does – a little dot, which unbeknownst to her is the start of her creative journey! 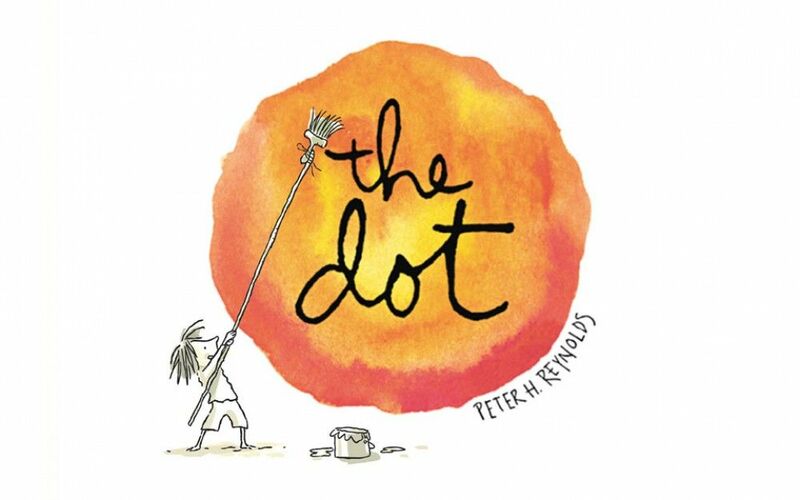 The Dot teaches children to be bold in the creative process, and start slowly with an idea to be explored. Don’t get bogged down in the complexities, and they won’t make you feel like you can’t do it. 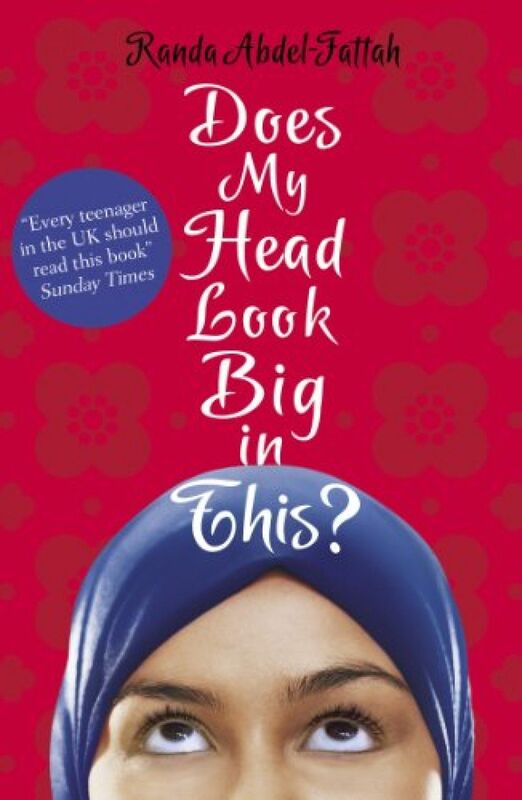 Randa Abdel-Fattah’s story about a seventeen-year-old Muslim girl living in Australia is thoughtful, poignant, and incredibly relevant for today’s political climate. The story’s main character, Amal Abdel-Hakim, struggles with the differences that her religion and culture place between her and the other girls in her school. Wearing a headscarf and joining in daily prayer only make matters worse for her attempts to blend in, but luckily, she’s got friends that aren’t as perfect as the other girls at school seem to be! 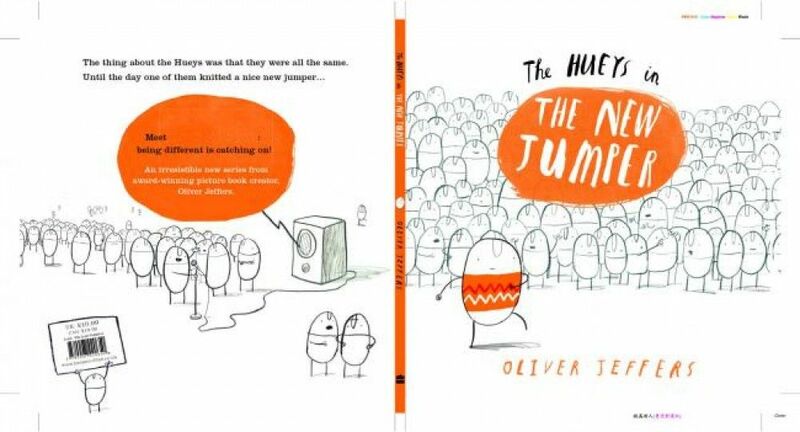 This book is fantastic at reminding kids that everybody goes through their own struggles, and the best thing you can do is find someone to support you in yours as you’ll support them in theirs! 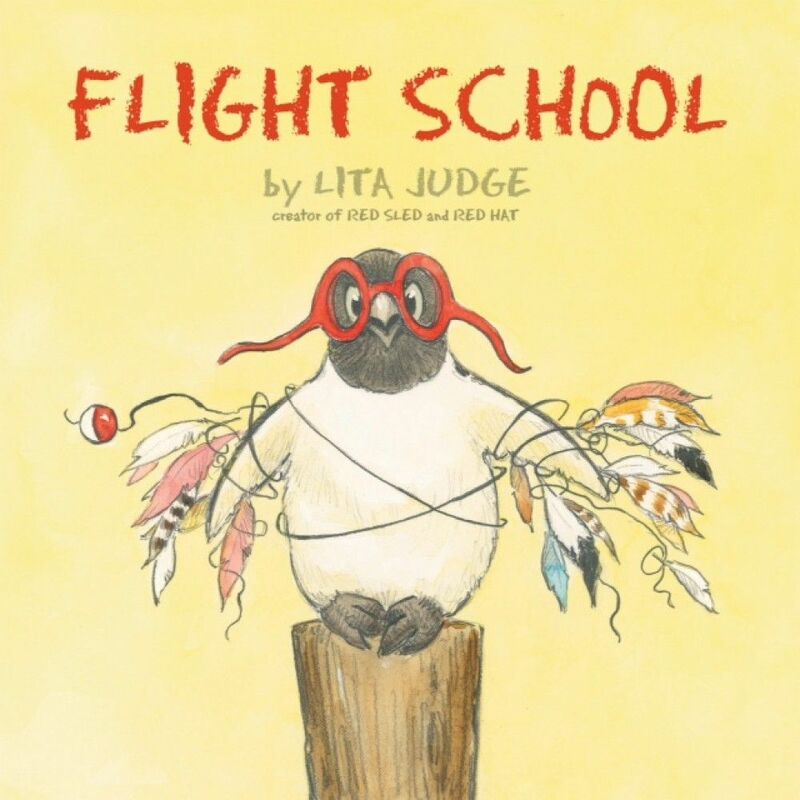 Flight School addresses the fact that kids have dreams and aspirations, but may not always be equipped with the necessary physical attributes or skills to accomplish those dreams. In this story, the character wants desperately to fly, but is unable to due to the fact that he is a penguin. Despite this obstacle, his resilience, perseverance and passion inspire everyone around him. He never gives up on himself despite fighting against all odds. Eventually his faith and hard work inspire everyone to help him accomplish his goals. The story teaches kids that sometimes, they have to adjust their ideas about what constitutes success, and that just because they can’t immediately get what they want, they’re not a failure. 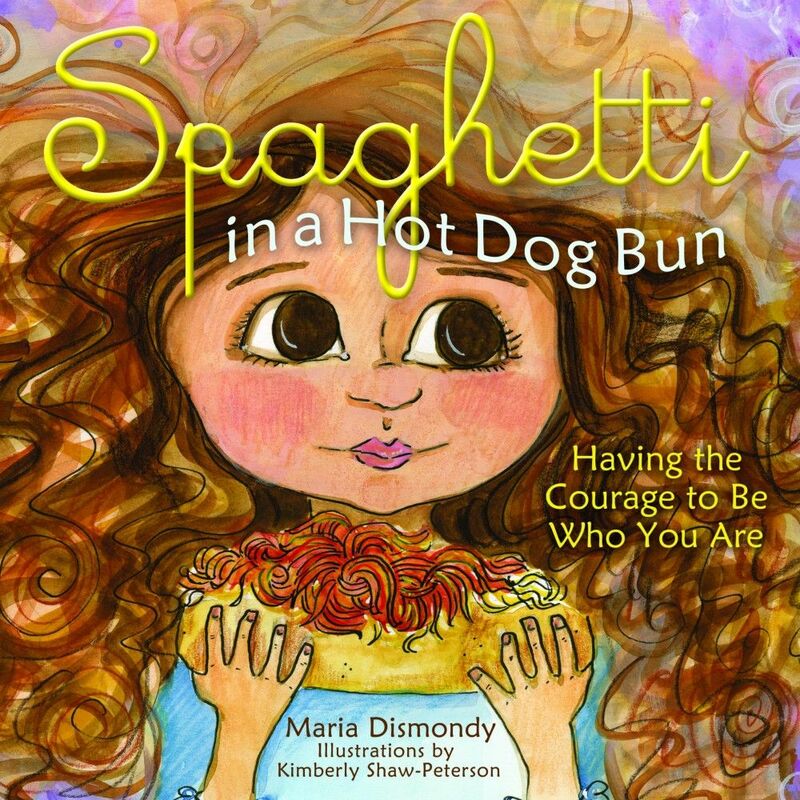 Written by Maria Dismondy, Spaghetti in a Hot Dog Bun was inspired by her students when she was a classroom teacher. The book is based on the struggle we have to truly be ourselves and feel accepted by others. Maria was adamant that the characters had to be human children and not animals, as she wanted kids to open the book and be able to see themselves. The book centres around the character of Lucy and a particularly troublesome boy at school who comes to depend on her help. It teaches children to make the right choice, even when someone may not deserve your help! It might seem counterintuitive at first, but you’ll feel good about yourself for it later. 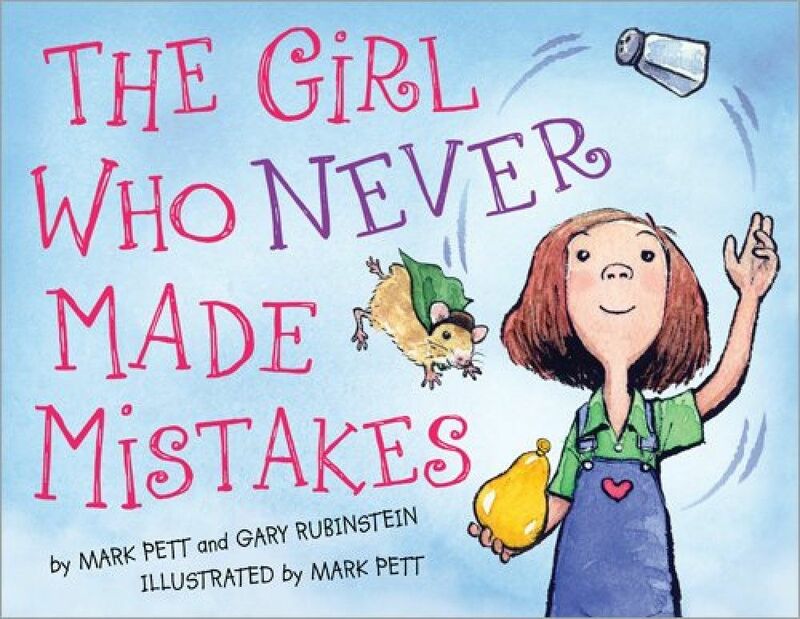 A story about a girl named Beatrice Bottomwell who has never made a mistake in her life. Written and illustrated by Mark Pett, the reader witnesses Beatrice make her first mistake, and a very public one at that. The story teaches kids not to fear making mistakes, to learn from them and accept them, and most importantly to move on after them. Making mistakes, or fear of making mistakes, can really hold children back from taking risks and trying new thinks, but it can also make them feel less intelligent than their peers. The truth is that everyone makes mistakes, and Pett’s charming story can show them that fact in a gripping way. 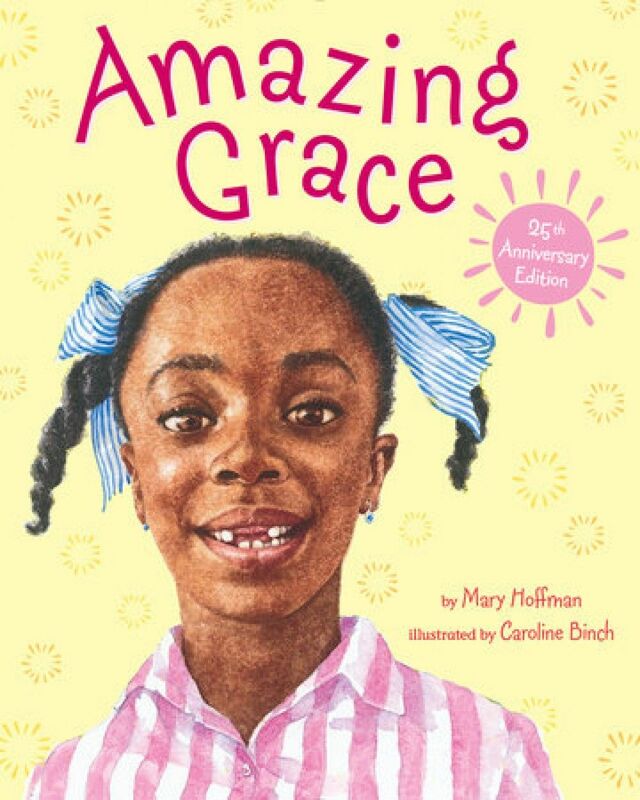 Amazing Grace was first published in 1991, and even as late as 2013 it has been included in Book Trust’s list of the 100 Best Books for Children in the last 100 years. The story revolves around a performance of Peter Pan that Grace’s school decides to put on. Grace desperately wants to play the part of Peter, but her classmates tell her that she can’t – Peter was a boy, and, according to them, he wasn’t black. The book deals with gender and race in a way that is still as relevant today as it was when first written, perhaps even more so! Find out what all the fuss is about even 20+ years later. Marisol is often told she doesn’t match. She loves to combine polka dots and stripes in her clothing, she has nut-brown skin with flaming red hair, and she likes peanut butter and jelly burritos for lunch. Marisol’s tendency to mix things up means people are quick to decide that she doesn’t make sense, and naturally try to put her into a box. She just doesn’t match, though, and she doesn’t mind in the slightest! The book teaches its readers to love the idea that they might not fit other people’s ideas of normality and sense, and to embrace being different. The titular Good Little Wolf is a little pup named Rolf, who never misbehaves and is always good! Rolf is always kind to his friends, but surely that’s not normal for a wolf? Is Rolf a real wolf if he’s still good, or is there a big bad wolf waiting to come out? 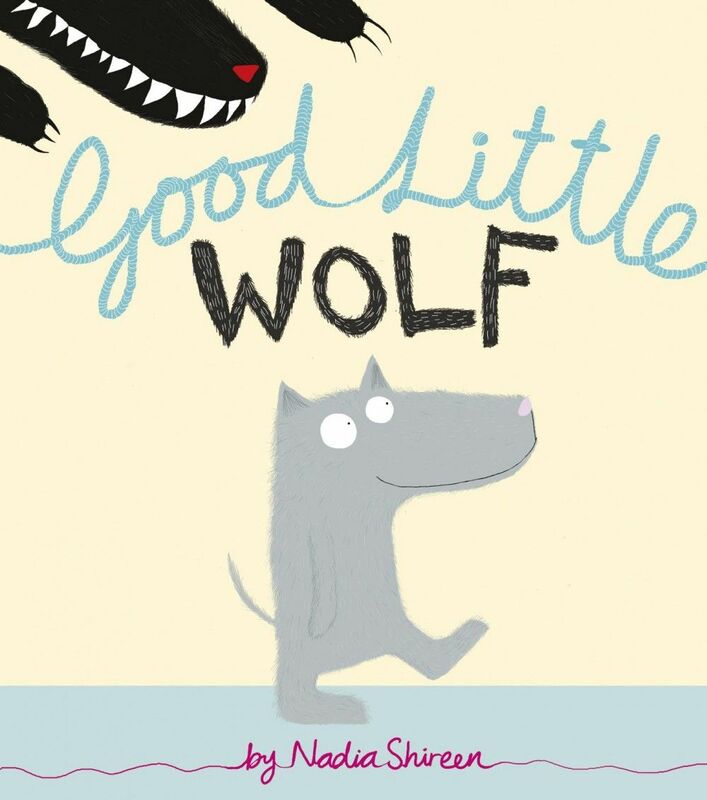 Good Little Wolf may not at first seem like author Nadia Shireen is presenting a story that helps children with self-esteem, but the tale teaches young readers that they don’t have to become what is expected of them – they can still be themselves and be right! 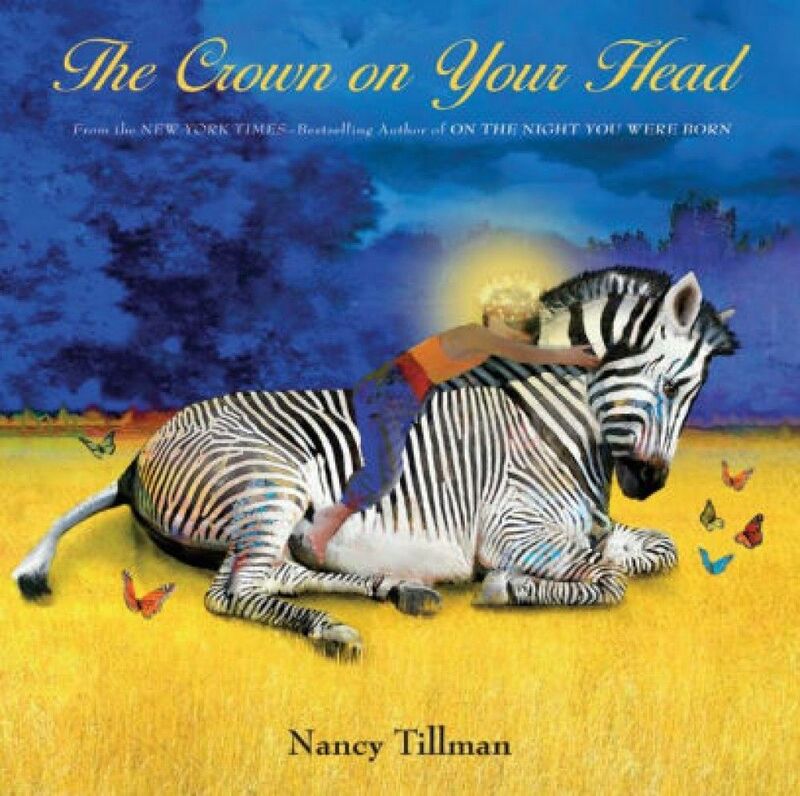 As Tillman says: “Every child is born with a crown. The crown is everything that gives us unique value. Our crown will always be with us wherever we go, whatever we do.” What an amazing message for kids to take in! The Crown on Your Head teaches kids that each of them, no matter how they feel, is special and worthy of feeling individual! It’s no surprise, then, that when one of The Hueys decides to get a new knitted jumper, it throws the rest of them into their own decision about how to be different! I say decision, because the answer that occurs to them all is to knit the exact same jumper! 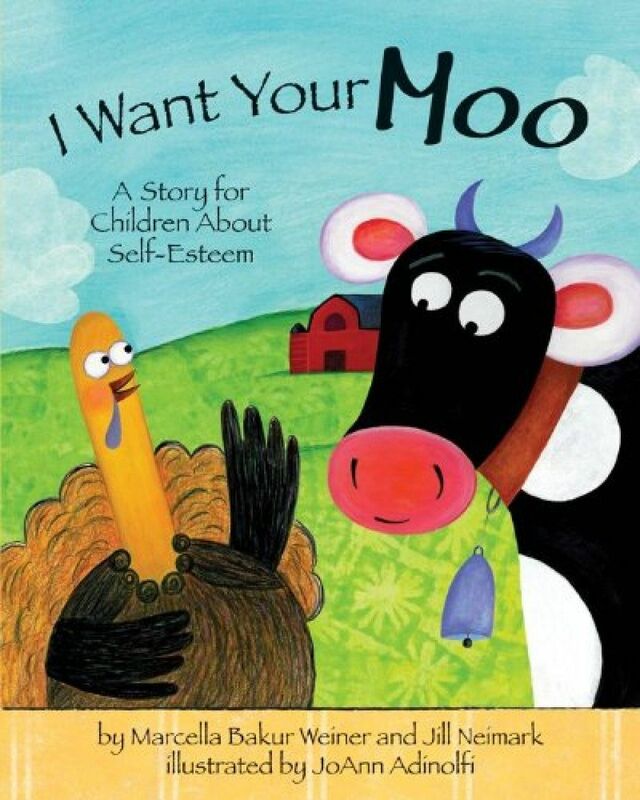 When it comes to self-esteem in kids, well, I can’t put it better than the blurb: the story proves that standing apart can be accomplished even when standing together! Calvin isn’t like the other birds. While his peers were learning to fly, he was busy reading books in the library. 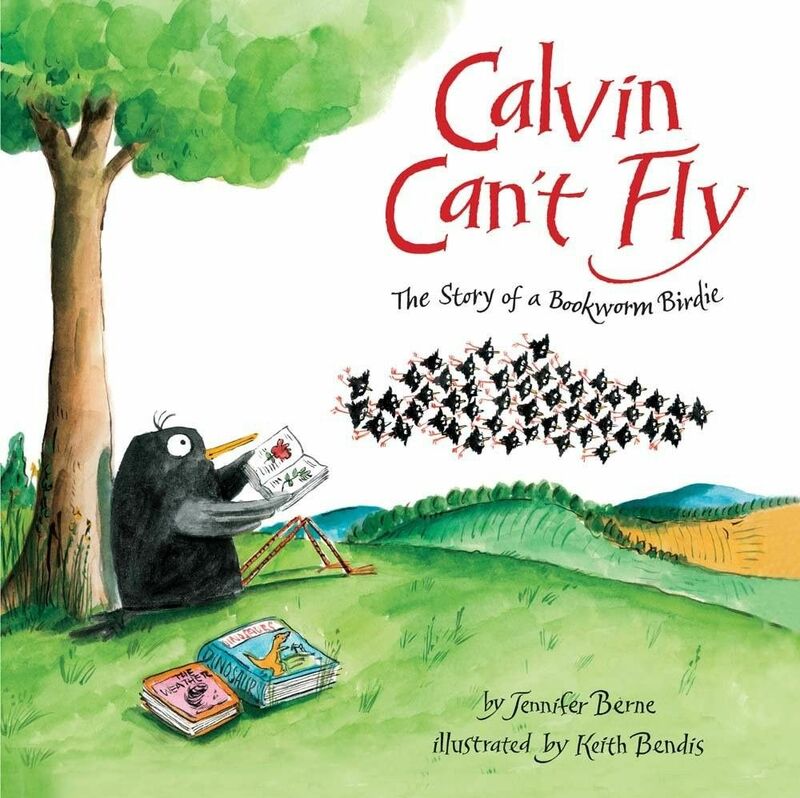 Calvin Can’t Fly is as simple to understand as its title posits, but the concept is a fantastic likeness to something that many children will struggle with, as they develop passions and tastes that may be different from the norm. Stories like Calvin’s teach them that it’s okay not to do what everyone else is doing. Toodles, our hero – a turkey, incidentally – doesn’t like herself. Amongst other parts of her turkey physique, she hates the ‘gobble gobble’ sound that she, as a turkey, is doomed to make. That is, until she saves the day by using it! If you want to find out how, you’ll have to dive in, but the importance of a book like this can’t be understated for young readers. Our hero hates something about herself that ends up being the very thing she’s celebrated for. What an inspiring message! 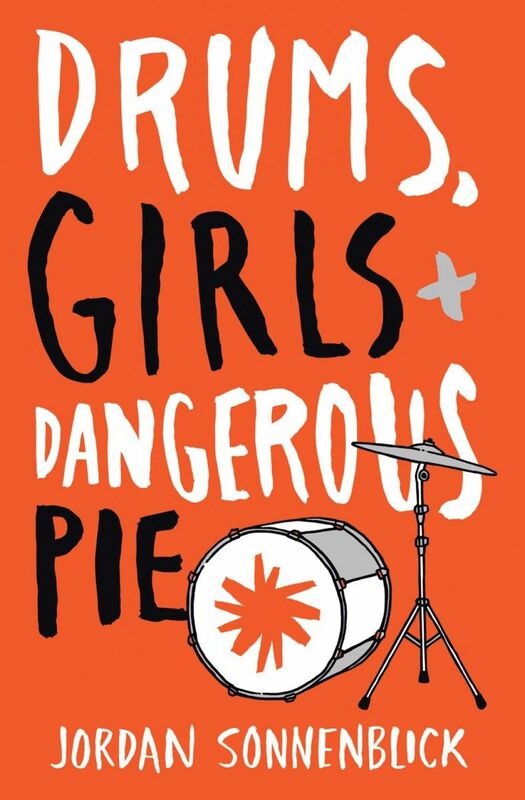 Drums, Girls and Dangerous Pie is the debut novel of author Jordan Sonnenblick. The story focuses on thirteen-year-old Steven, who has a pretty normal life. He plays drums in a band, he has a doomed crush on a popular girl at school, and he has an annoying younger brother, five-year-old Jeffrey. When Jeffrey is diagnosed with leukaemia, Steven’s world is understandably shattered, and he must come to terms with this new reality. Drums, Girls and Dangerous Pie is the heart-warming tale of Steven’s struggle to understand, with plenty of humour to soften the reality that the readers experience. 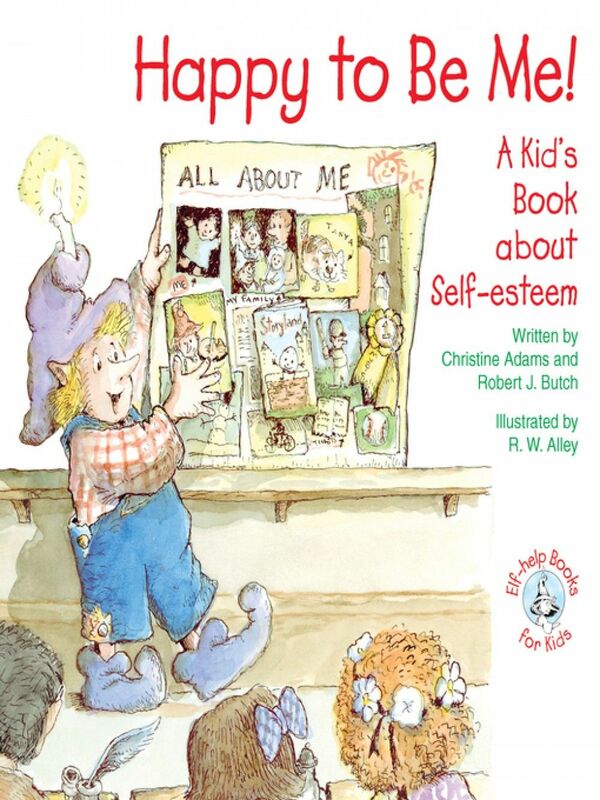 For kids who struggle with their own self-esteem issues, this book teaches at least one important lesson: you don’t know how good you may have it. The title speaks for itself with this entry! 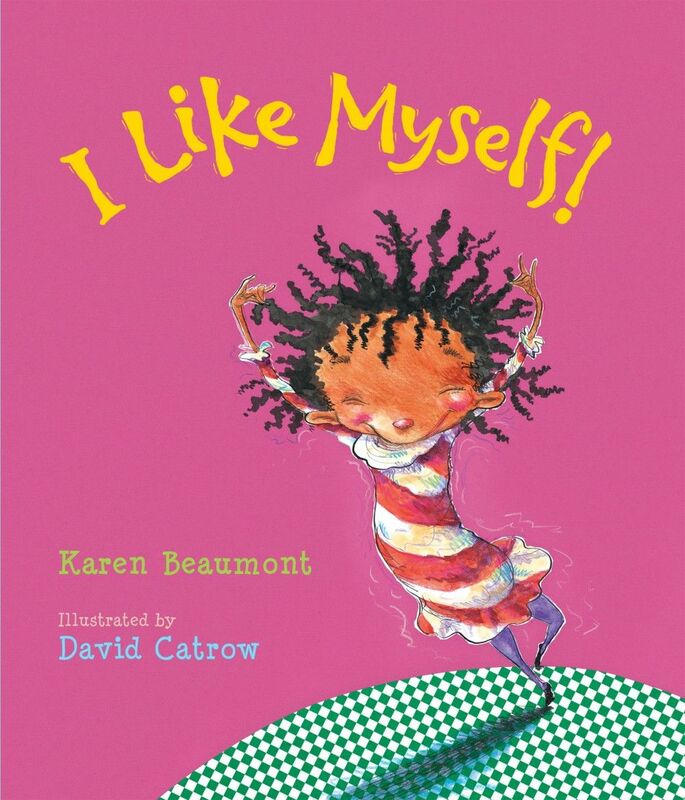 I Like Myself is a book by author Karen Beaumont, and it’s written from the perspective of a little girl who confidently expresses all of the ways she likes herself, and even begins to get a little carried away with it! Though the words and illustrations are silly and exaggerated to appeal to young children, the message is deeply spiritual, for it is my conviction that only that deeper inner Truth can provide a solid, unshakable foundation upon which to build a child’s self-esteem. I wrote I Like Myself for every child, regardless of race, culture, physical challenges, or any other label with which we identify ourselves. The message stands firmly on the foundation of Love, the divinity that unites us all. The book is reminiscent of Dr. Seuss works in its style and with its charming illustrations by David Catrow, it’s sure to make young readers want to start professing their own self-confidence. 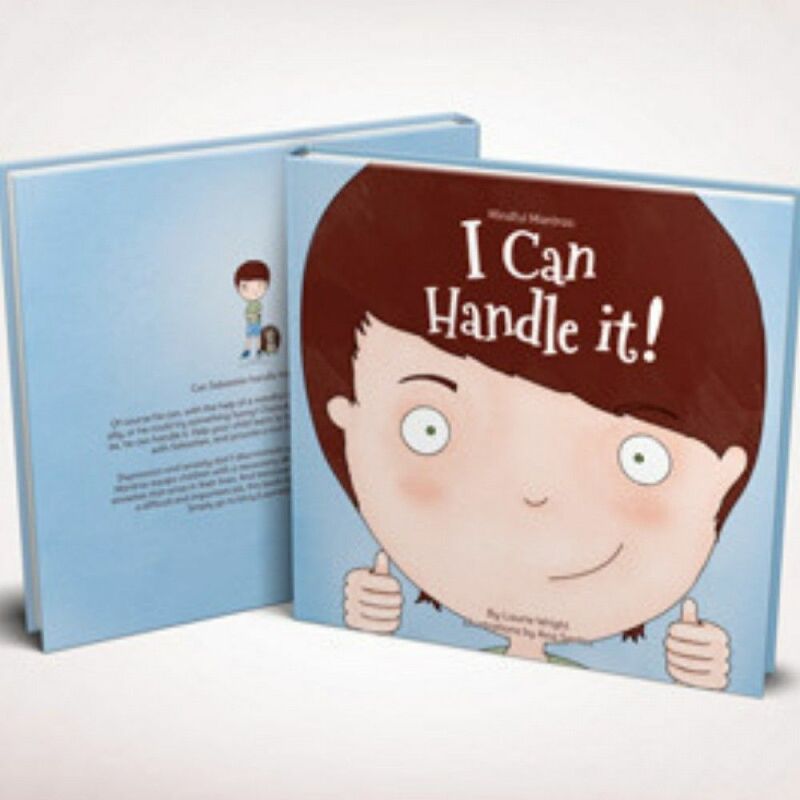 I Can Handle It is an entry to the Mindful Mantras book series, written by author Laurie Wrighter. The book instils the titular mantra in children straight away and gets them telling themselves that they can handle it! Its effectiveness is reportedly celebrated by parents and counsellors, and teachers find it useful in classrooms to support children who find themselves dealing with overwhelming negativity and lack of confidence. If you want your kids to believe they can handle any challenge that life throws at them, why not give it a go? Nerdy Birdy loves reading, video games and reading about video games. The cool birdies like hunting, showing off and devouring worms. They definitely don’t like Nerdy Birdy. Dejected and friendless Nerdy Birdy soon discovers that there are far more nerdy birdies than cool birdies in the sky. Everything is looking up until a bird moves into the neighbourhood. She looks lonely. But not exactly nerdy. What’s a Nerdy Birdy to do? 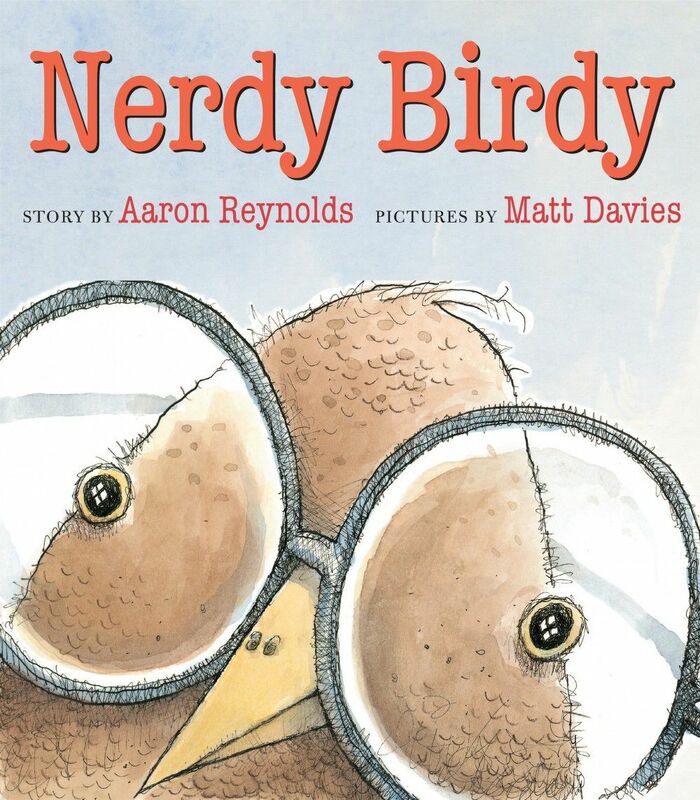 Nerdy Birdy is a book written to resonate with younger readers and help them identify with some of the big issues that all children face in their school lives, such as making friends, dealing with rejection, and learning to cooperate with others. 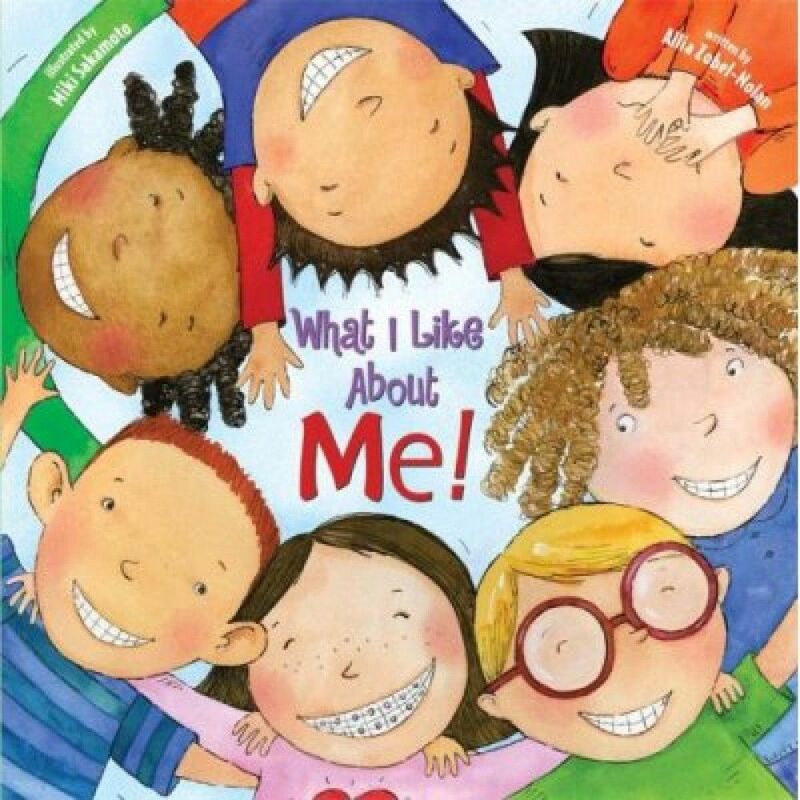 What I Like About Me by Allia Zobel Nolan was one of the first books designed with the sole purpose of getting children to embrace and celebrate their differences. It features children who are proud to be tall, short, wear braces or eyeglasses, have big ears, freckles and other characteristics which bullies sometimes make fun of and teaches them that these are the things which make them special. To make the book entertaining as well as educational, it has novelties such as lift-the-flaps, curly hair, moving parts, foil, and ends with a mirror so children can pick out and affirm what they like about themselves. What I Like About Me has been received as a classic, winning countless awards, including The Mother's Choice Award. "It makes kids feel good about themselves, and in a world where fitting in is the norm, teaches kids that being different is totally awesome." The book’s core message is that the things that make you different from other people should be celebrated, not shunned. This is an important belief to instil in a child going through the early stages of their school career, where many children are uncertain and turn to ways to help manage their own fears and doubts. Unfortunately, this is an easy opening for bullying, and bullies mean low self-esteem! Read about What I Like About Me and Allia Zobel Nolan's other books through the link below! Happy to be Me is a book by children’s author Christine Adams. It’s an entry into her ‘elf help books’ series and is designed to help kids with their self-esteem. Happy to be Me teaches its reader to appreciate the things that make them different to others and to embrace them, following its established ethos of how to instil confidence and self-esteem in children. If this is a sentiment you agree with, why not give it a go? 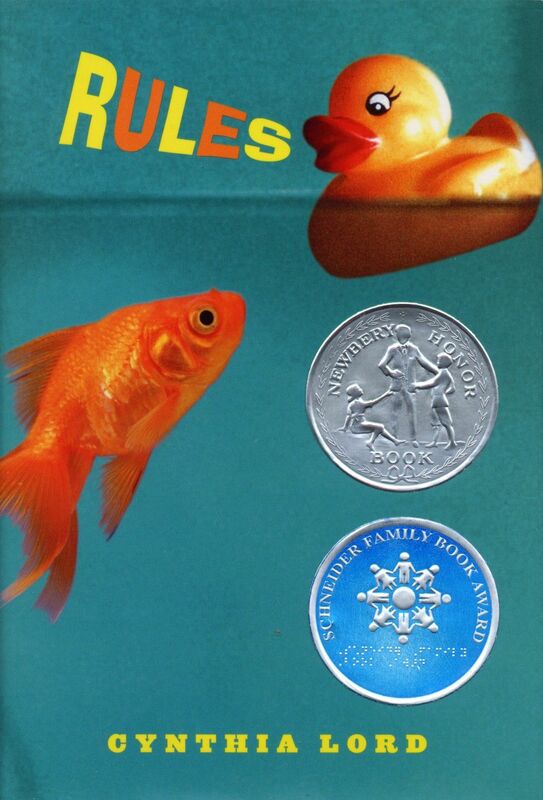 Rules is a book that may teach children about self-esteem in a slightly different way to most of the other books here on our list. Kids sometimes need perspective to allow them to grow into more confidence, and seeing the challenges that other people face is a strong force behind making realisations such as those. Rules is a fantastic book to inspire those realisations in your child. Not Your Typical Dragon follows a simple yet charming ‘what-if’ premise: what if a dragon could breathe out everything but fire? At its core, it is a story about appreciating what is different about each other, and how those differences make all of us stronger or better off. 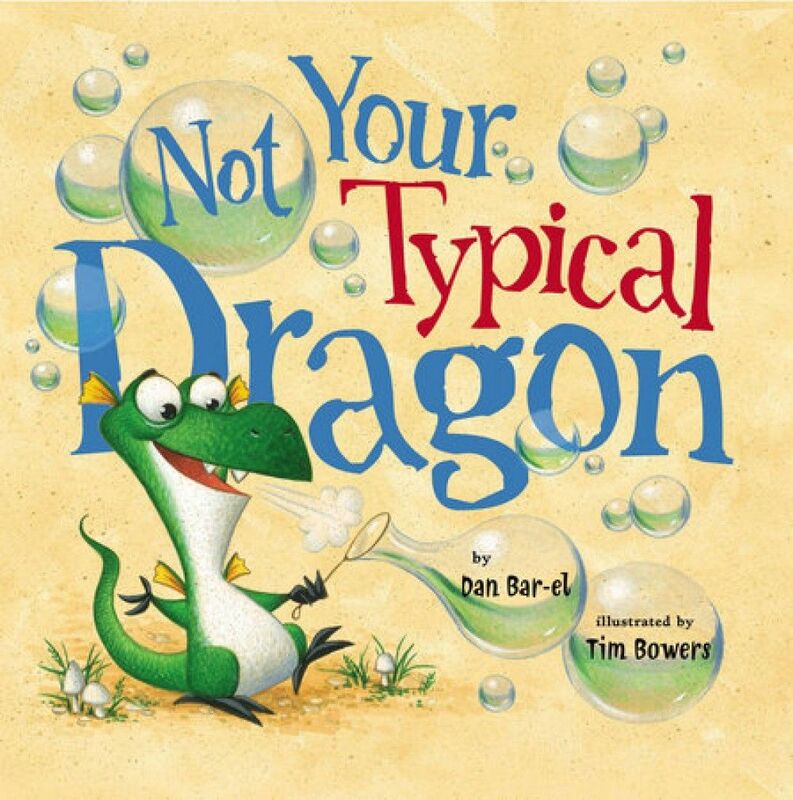 A kid suffering with low self-esteem may feel that the things that make them different to their peers are something to be hated or disliked, but a story like Not Your Typical Dragon can teach them that everybody is different in some way, and we’re all alike in that. 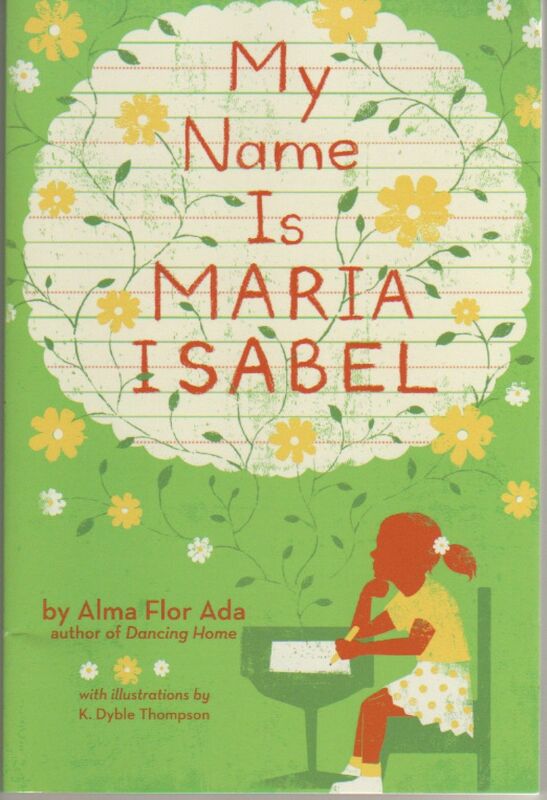 My Name is Maria Isabel is a powerful book for young people that addresses the issues of culture, heritage, and fitting into unfamiliar new settings. Maria is a Hispanic child growing up in the U.S. who has just joined a new school. On her first day in a new classroom, Maria’s teacher decides that she will call her ‘Mary’ instead, to better manage the fact that there is already two other Marias in the class. Our Maria struggles with a name that is not her own, which her teacher struggles to understand as they are similar to her. 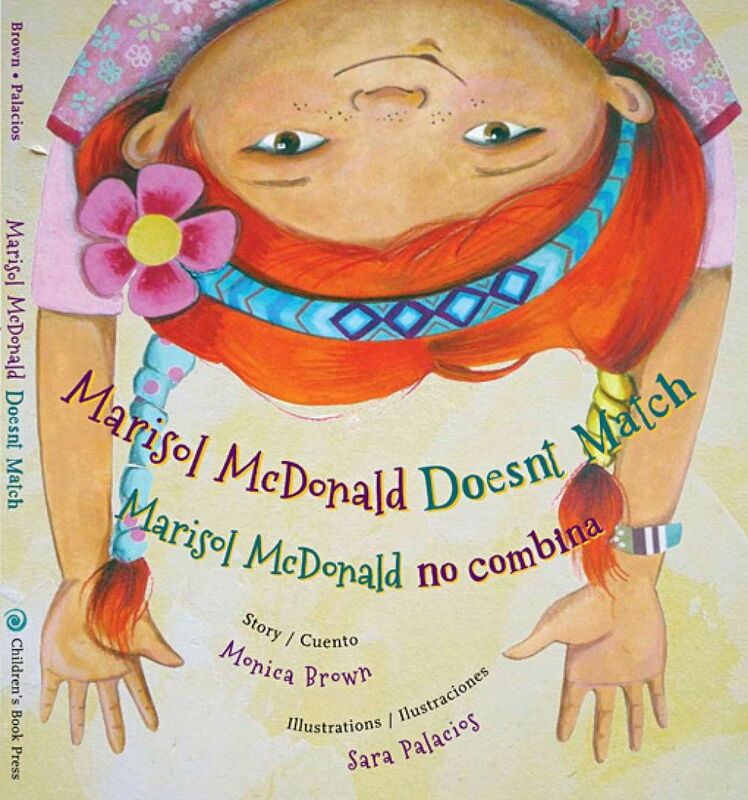 My Name is Maria Isabel is a fantastic resource for children who struggle with their self-esteem because of barriers such as language, religion, ideals, or any other gulfs between them and their fellow students, and it teaches you an important lesson: stay true to who you are!